Designed for ice, mixed and dry-tooling, the Grivel Tech Machine is a great all-round modern winter tool. The hot-forged pick is one of the strongest around, and tapers down to 3mm for easy penetration in brittle ice. A large clip in hole at the head can accept a couple of karabiners should you need to incorporate the tool into a belay. The offset, ergonomic handle allows multiple hand positions and features a small spike with a hole large enough to clip into. 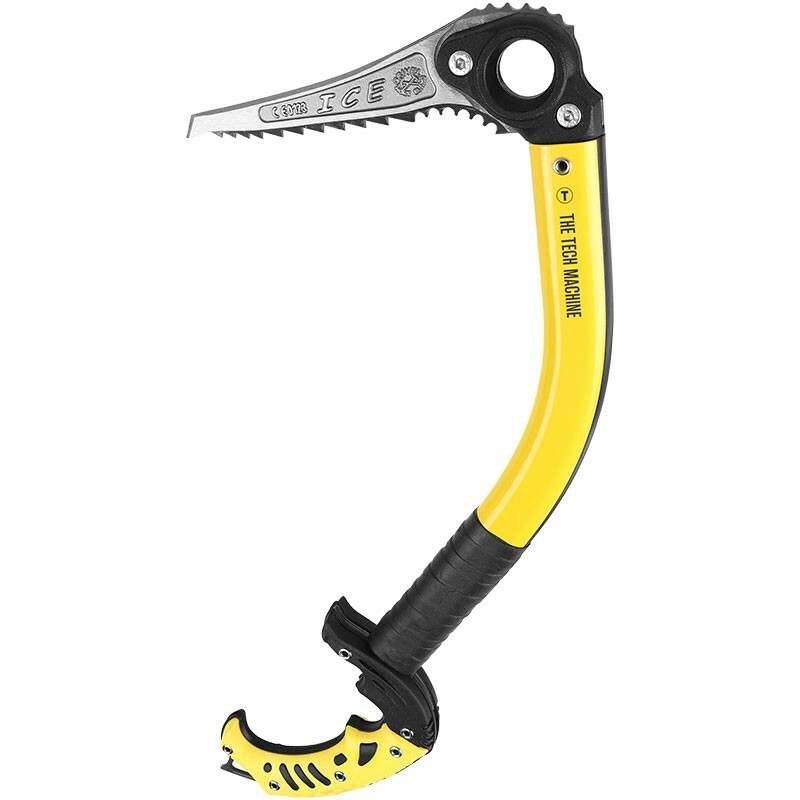 A great technical axe for people with smaller hands.